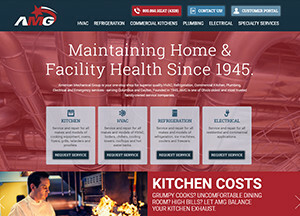 Portfolio of Awaken Technologies, Ltd.
American Mechanical Group in Columbus, OH is your one-stop shop for superior quality HVAC, Refrigeration, Commercial Kitchen, Plumbing, Electrical and Emergency services - serving Columbus and Dayton. Founded in 1945, AMG is one of Ohio's oldest and most trusted family-owned service companies. 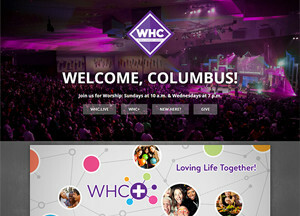 World Harvest Church in Columbus, OH wanted a website for multiple campuses for the purpose of communicating to their members and visitors regarding upcoming events and special announcements. They also desired a presence that would allow them to stream their services live over the Internet. 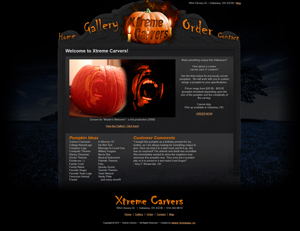 We were happy to work with their designer's layout to create an application that provides for all these needs and more. 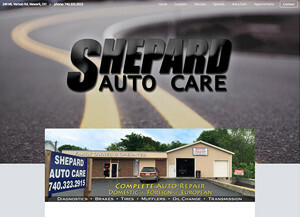 Newark, OH is home to Shepard Auto Care, a small mechanic shop that works on just about any type of vehicle. They provide excellent quality service for great prices, and are sure to only recommend work on your vehicles that is necessary. We designed and developed their website which allows them to create coupons that maintain themselves -- with scheduling tools that only valid coupons and offers on their site. This site also features a form where their clients can schedule appointments, as well as an "Ask a Tech" section where their site visitors can ask a professional technician questions that may lead to a service request. 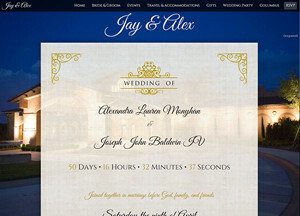 Created to announce the marriage ceremony and celebration of a couple, and to serve as a hub of information for family, friends, and guests - #HappilyEverBaldwin is a modern example of "responsive-design" - a clever way of describing a web design that adapts to the size and type of the dipslay with which it is viewed. This is the Internet home of our owner. He hosts his professional history here, as well as host some of his privately owned software creations, such as extensions for Mozilla Firefox, and scripts extending the functionality of popular chat client mIRC. 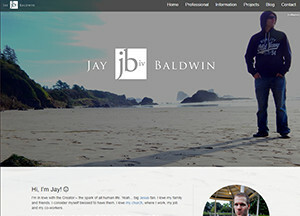 He also writes a blog about various technological topics, as well as personal reflection. All of this can be maintained from the site itself, without writing a single line of code. With a system like this, if you know how to use Microsoft Word, you know how to maintain your website!